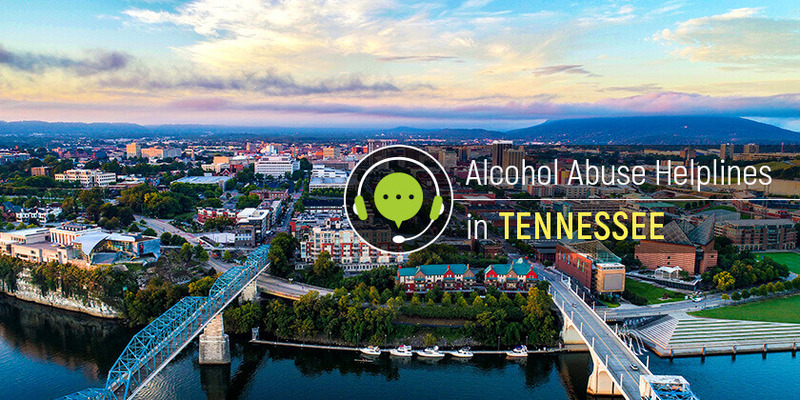 Tennessee residents can lead alcohol-free lives by accessing the resources, information, and treatment services in the state. Call these free alcohol helplines to speak with a professional who can offer support and assistance. Delphi Health Group comprises a wide network of treatment facilities and programs. Callers will get connected to these treatment services, which are almost always under insurance coverage. Call the group on the alcohol hotline (866)-520-2708 to speak with a representative. Representatives are available all day long, all year round to help clients. Every conversation is confidential and free. Tennessee Department of Mental Health and Substance Abuse Services provides many opportunities for people struggling with alcohol addiction, as well as educational services and counseling for alcohol addicts and their families. Contact the Department by calling the alcoholism helpline at 800-560-5767. For individuals in emergency situations involving alcohol abuse, call 855-CRISIS-1 or 855-274-7471. The Tennessee Redline is a toll-free, confidential information and referral hotline number coordinated by the Tennessee Association of Alcohol, Drug, and other Addiction Services (TAADAS) and sponsored by the Tennessee Department of Mental Health and Substance Abuse Services. Dial the Redline on the alcohol hotline 1-800-889-9789 to get information on alcohol addiction and referrals to quality addiction treatment services. Tennessee residents can get help for alcohol addiction by accessing the resources and referrals. Call any of these alcohol helplines to get started.